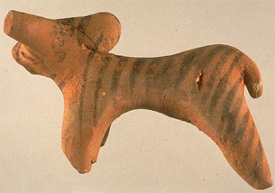 INDE – Tida Bud Teela, Relics believed to be associated with the ancient Harappan civilisation have been dug out from a village in Haryana by archaeological experts from Cambridge and the Banaras Hindu University (BHU). Extensive excavations at the ancient Tida Bud Teela, a mound spread out over 400 sq m area, in Khalsa Bohla village in Karnal district, 160 km from here, have led to the relics. "The relics include pottery, bones, mud wall, grain store and red-coloured utensils, which are believed to have been used by people belonging to the Harappan era," Arun Pandey, the excavation team leader, said. He said the relics were found in the first few days of excavation that saw digging up to a depth of four metres. These have been sent for carbon-dating and other examination to know their exact period and whether these belong to the Harappan period. The excavation was initiated March 28 and would continue till April 16. Haryana has prominent Harappan era heritage sites at Thanesar near Kurukshetra and Banawali near Fatehabad town. While the Banawali site dates to the period of 2500-1450 B.C., the Thanesar mounds date back to the late Harappan era and the visit of Chinese traveler Hiuen Tsang in the seventh century. There are over a dozen other sites where excavations have been carried out in Haryana in the last over five decades. ROYAUME UNI – Norwich - Researchers are continuing to investigate the story behind skeletons found on the site of Chapelfield when foundations for the shopping centre were being dug. Seventeen skeletons, thought to have lay there for centuries, were found in 2004 and have been the subject of several avenues of research and a BBC2 History Cold Case programme. 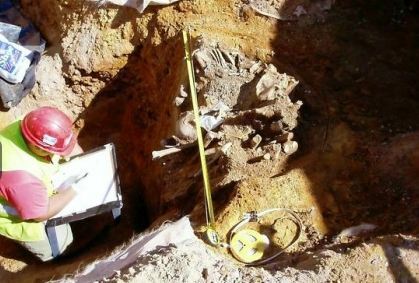 Analysis for the TV show suggested the bones had DNA consistent with Jewish communities – and now more extensive research is being done to confirm if this is the case. The skeletons, 11 of them small children, were found about five metres below ground level in what was thought to be the bottom of a well. Mr West said research has suggested the skeletons are from between 1150AD and 1300AD, and are all likely to be from East Anglia. As previously reported, research for the History Cold Case programme concluded the people were believed to have been murdered or committed suicide. The analysis suggesting the skeletons were Jewish was thought to be a key finding –the group had lived in a time rife with anti-Semitism as Europe become more Christian. Norwich was known to have had a Jewish community since 1135 and the community lived a few hundred yards from the well. FRANCE – Bourges - Il faut dire que cela commence à faire quelque temps que le périmètre entourant le futur centre commercial a été érigé, enveloppant d'un certain mystère le déroulé du chantier. 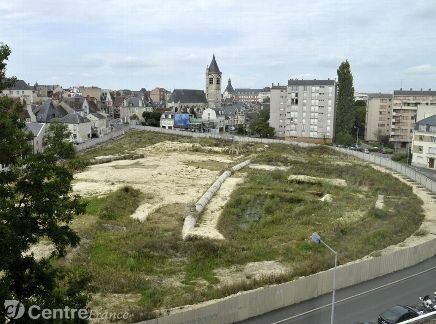 Un chantier qui a été, il faut bien le reconnaître, retardé dans son lancement par l'obligation de réaliser des fouilles archéologiques préventives et par la découverte de thermes romains. La présence de ces derniers a d'ailleurs également joué sur la capacité finale du futur parking d'Avaricum. FRANCE – Vire - Les archéologues de l’Inrap (Institut national de recherches archéologiques préventives) sont de retour à Vire dès lundi afin de poursuivre leurs recherches sur les vestiges découverts en novembre sur le site de la Mercerie, là où la municipalité a entrepris de bâtir un lotissement de 56 parcelles. Les chercheurs y ont découvert des traces d’habitat datant du Moyen Âge et quelques céramiques médiévales. Ils veulent savoir si ces restes de fondations sont celles d’un petit hameau ou d’une grande ferme, et cherchent à déterminer la date de la construction, qu’ils estiment entre les XIVe et le XVe siècles. USA – Fort Lauderdale - The discovery of historical artifacts in Fort Lauderdale has prompted an archaeologist to call for a more extensive dig to find more of South Florida's past. When archaeologists discovered musket balls, buttons, pipes and pottery relics from Fort Lauderdale's past at a construction site along Fort Lauderdale Beach last year, it did not cause historical hysteria. People knew the third Fort Lauderdale was once there, but things have changed now that the artifacts have been analyzed. "This is a very important discovery," said Bob Carr, director of the Archaeological and Historical Conservancy. "This is a very important discovery. What we thought at first was a routine project ended up revealing a major part of Fort Lauderdale's most historic site. TITANIC – - The wreck of the Titanic is to come under the protection of the United Nations cultural agency Unesco. The agency says more than 700 divers have visited the site, 4,000m under water off the coast of Canada. The ship will fall under the 2001 Convention on the Protection of Underwater Cultural Heritage once it passes the 100th anniversary of its sinking on 15 April. The convention aims to prevent unscientific or unethical exploration. Irina Bokova, director-general of Unesco, said the sinking of the Titanic was "anchored in the memory of humanity" and it was important to protect the site where 1,500 people lost their lives.